Today there are three lines of connection between Lithuania and Kaliningrad region, which come to the plant of Sovetsk city. When Ignalina plant existed in Lithuania, these lines delivered electric power from it to Kaliningrad region. After its shut down, Kaliningrad started receiving electric power from Russian NPP in Smolensk transiting through Belarus and Lithuania using the same lines. According to the representative of “Rosenergoatom” Sergey Boyarkin, in theory there is a possibility, when one unit will operate to cover the needs of Kaliningrad region, and the second one – for Lithuania. A part of energy could be sold within the territory of Lithuania, another – transited to Latvia and Estonia using the line in construction to Poland. By this Lithuania would have 2 benefits: cheap electric power from Baltic NPP and transit profit. To enhance the safety of energy system it would be great to build a line between Kaliningrad and Poland. Now the construction of the line between Lithuania and Poland is led. But provided there was the second line between Lithuania and Poland through the territory of Kaliningrad region, it would rapidly promote the safety of energy system. - We are having negotiations with Polish network company, and it reveals a great involvement, moreover as we are ready to invest into this project. Till the Second World War there was the line of connection, a corridor is still there, there are even supports standing. We are ready to put there a DC link (distance less then 10 km) and to connect it with Polish energy system at our expenses. This would allow using the second line to connect Baltic States with energy system of the European Union, Polish energy system, which would raise the general safety of the system. By this we are talking not considering the existence or absence of Baltic NPP. Strengthening of networks is beneficial, this enhances the safety and gives the opportunity to the consumers to have guaranteed energy supplies. We made a corresponding offer to Lithuanian as well as to Polish party, and at the moment we are having talks. We have plenty of time, we are planning to commission the unit in 2016, and construction of the power lines will take about two years. I.e. till 2013 we can easily negotiate. I hope we’ll come to an agreement. If due to any reasons, neither Poland nor Lithuania expresses the desire to participate in it, we’ll lay the cable through the bottom of Baltic Sea towards Germany parallel to the gas pipeline Nord Stream, using its infrastructure. In the point of exit of Nord Stream there is a network structure, big energy node. North Germany experiences energy deficit at the moment. They import energy from Poland, but Polish production is 90% unprofitable and it will have to close a part of its capacities because of wear and tear and due to Kyoto factor. Coal gases omit much greenhouse gases and if there will be fees introduced for this emission, they will have to shut down a part of its production and Poland won’t be able to cover Germany as they do now. - Do you see the involvement of Lithuania in your offers? - The position is ambivalent. We observe great interest from the side of technical specialists. Technicians, economists welcome this project. All technicians acknowledge clearly that the promotion of connection of electric networks will enhance their safety. All specialists acknowledge that there is capacity deficit in the region after the shut down of Ignalina NPP, and this deficit will only enhance if we suppose the development of the region. The presence of extra production capacities is a positive factor. This is the promotion of capacities and reduction of prices on electric power and the price directly influences the economic development of the region. Unfortunately, officials express their ideas carefully. But I think that with the promotion of our projects and explanation of benefits for the cross-border regions, the line will change. According to our forecasts, the EU forecasts, power deficit in this region will comprise about 5-7 gigawatts. Our 2 gigawatts won’t cover everything, that is why there will be enough space also for Ignalina, and for Polish NPP, if Poland erects one. These three objects will be able only to cover the deficit. I wouldn’t say that our project competes with Ignalina. - Prime Minister Andrius Kubilius has recently stated that Lithuania doesn’t plan to buy electric power from Kaliningrad region. - If you don’t plan, we’ll sell it to other states. Our energy will be cheap, if you don’t need so cheap energy, don’t buy it. Love can’t be forced. Lithuania in reality at the moment purchases electric power from foreign markets, that is why no matter what politicians and power engineers claim, they purchase electric power, as there is a real deficit in Lithuania. And if there will be our cheap offer and Lithuania refuses of it – we’ll sell it to Germany. - Foreign Mass Media has recently published an article, based on the thesis that in this region of Europe one can observe some nuclear race. Is it true? - At the moment in the world we observe the process called “nuclear renaissance”. And the IAEA General Director dwelled on this during the panel discussion in Vilnius. Also the EU representatives talked about this. In the USA a new energy strategy was announced, which anticipates mass NPP construction. Today in the USA there 17 licenses issued to construct 17 power plants comprising 20 power units. China has claimed the construction of 100 power units. Most states, first of all France, announced mass NPP construction. Finland builds an energy unit. So I wouldn’t say that the situation differs from other regions. To talk that here is a high concentration and something exceptional means not to know the subject. It is three times lower than in the USA and many times lower than in China. 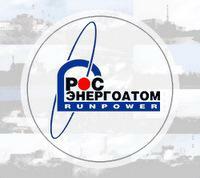 - Please comment on the situation that many people are concerned about ecologic aspect of three NPP in one region. - Nuclear generation, in comparison with a thermal one, doesn’t omit greenhouse gases, it is ecologically clean. That is why talking about ecologic aspect, nuclear generation will enhance ecologic situation in the region as the presence of cheap nuclear generation will let to shut down many objects, strongly contaminating the environment. Burning brown coal leads to a very severe contamination – this is omission of greenhouse gases, harmful agents, radionuclides. Any thermal plant, operating on fossils, omit radiation into the atmosphere. When it lies in the ground – it is one thing, and when it is omitted into the atmosphere this is another deal. Radioactive load on the environment from a thermal plant is dozens times higher. It is not widely announced but specialists know that, including WHO specialists, who monitor nuclear objects. Monitoring shows that the quantity of chronic diseases around nuclear power plants is lower, mortality is lower, and the life time is longer. This is explained to all that all the regions with NPPs have good system of monitoring the state of people’s health and diseases are revealed on earlier stages. But the same we also say about Russia – in all our states, mortality for example from cancer is lower. In general the disease incidence is lower due to the fact that a nuclear power plant is a powerful object, promoting the development of economy. These are well-paid jobs on the plant and around it, these are taxes, social funds payments which makes the level of life in the region of nuclear states much higher than within neighboring territories. A high level of life, promotes better quality of life, lower morbidity and longer life time. This is an unbiased reality. Statistics, and not of “Rosenergoatom”, but of WHO. - Are alternative power sources able to assure this region with enough energy? - There are no hydro-resources in Kaliningrad region at all. Wind energy is not absolutely clean. It leads to the changes of natural environment due to infrasound, changes of birds migration, etc. the operation experience in the region revealed their inefficiency. In the region there is a wind-park, it produces about 0,1% of consumed in Kaliningrad energy and it’s impossible to increase the capacity. Besides, wind energy produces energy only when it’s windy. For example, Germany, where there are a lot of wind plants, is forced to stop them as due to incompliance of picks of power production and the picks of consumption there are serious problems with the energy system regulation. They had several blackouts, when because of no wind the wind plants stopped, energy system simply dropped down and the consumers shut down networks in emergency. Denmark is the leader in the usage of wind energy as they possess great balancing thermal capacities, in addition they export nuclear power from Germany. So we have no water resources, and wind energy has great troubles with compliance with energy system, solar energy within our latitudes is extremely expensive. To stimulate solar energy in the states as Spain, Italy they introduce special tariff on solar generation. Solar plants sell energy 4-5 times higher than other plants. I.e. at the expense of a tax-payer they stimulate the development of solar energy, and this happens in southern latitudes. I.e. that without state subsidies it can’t be profitable. I think that economic crisis will push out these programs, Spain has already announced that they stop these subsidies, that is why most the kind of plants will go bankrupt even in the south of Spain. So it is complicated to say that it’s possible to develop it within our conditions. Lithuania strives to integrate into European energy market and to be independent from energy import, that is why it’s not planned to buy it from Baltic NPP, which Russia plans to build in Kaliningrad region as was stated by Energy Ministry of Lithuania. Except for that, Ministry noted that the strengthening of networks of Lithuania with Kaliningrad region is not anticipated within the plans of Lithuania. “The projects of Visaginas NPP construction and joining the power networks with Poland (LitPolink) and Sweden (NordBalt) are the prior tasks of Lithuanian energy system, - described the line of the Ministry the press-secretary Kestutis Yanuskis. – This is a part of Plan on synchronization of energy market of Baltic (Baltic Energy Market Interconnection Plan), guaranteeing the integration of Baltic States into the EU energy system”. According to his words, the plan was approved in June 2009 by 8 states of Baltic region and by the European Commission President. This initiative is supported by the EU and it is an integral part of the EU plan on the establishment of European electric power market. It’s planned, that till 2013 there will be a common market established of thee Baltic states, and in 2015 it will be united with markets of Scandinavian states and continental Europe. Meanwhile the strengthening of networks between Lithuania and Kaliningrad region is not anticipated within energy plans of Lithuania, as they assure in the Ministry. “The connection of networks with Kaliningrad region is not also anticipated in the ten-year plan of development for 2010-2020 of the organization of European operators of energy supply ENTSO-E”, - reports K.Yanuskis. As the expert of the Lithuanian Energy Institute Vaclovas Miškinis states till the end of this year Lithuania should define the strategic investor within the project of Visaginas NPP construction. “If this stage is successfully completed, they will start arrangements on the new NPP construction. In this sense Kaliningrad region NPP and a new Lithuanian NPP compete in this region, - suggests the expert. When a new plant is being constructed, they search a market for the supposed energy production and there is nothing strange here, thinks V. Miškinis. Besides, he is sure that the construction of three NPPs in the region – in Belarus, Kaliningrad region and Lithuania – can result into the surplus of capacities. “If Lithuania follows the way it goes now, if there is a nuclear power plant, and NPPs appear in Kaliningrad and in Belarus, than it will be difficult to find consumers for the three power plants. In the course of economic crisis, the consumption of electric power has been reduced. 1-2 new plants – is more or less acceptable, but if there are three of them, there will be capacities surplus”.